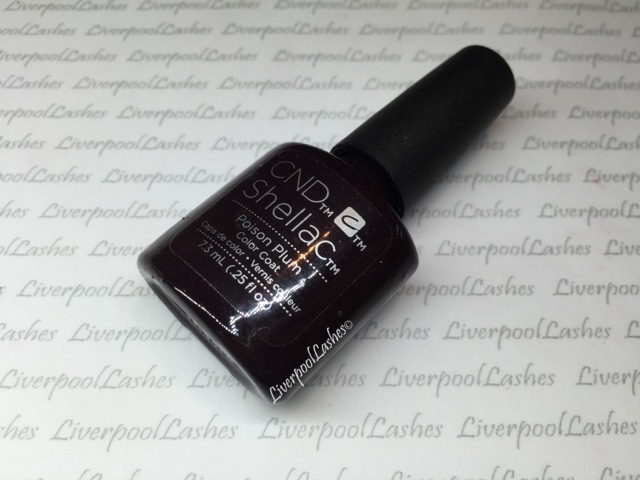 I feel like at the moment, the colour that's being the most talked about is CND Shellac in Poison Plum. Those of us who love it when CND bring out glitter Shellac shades were bursting with excitement at the release of a new glitter however to some nail techs this shades appears to have disappointed them and I can see why. If you thought that this was going to be a deep plum version of something like Ice Vapor then you were always going to be disappointed. 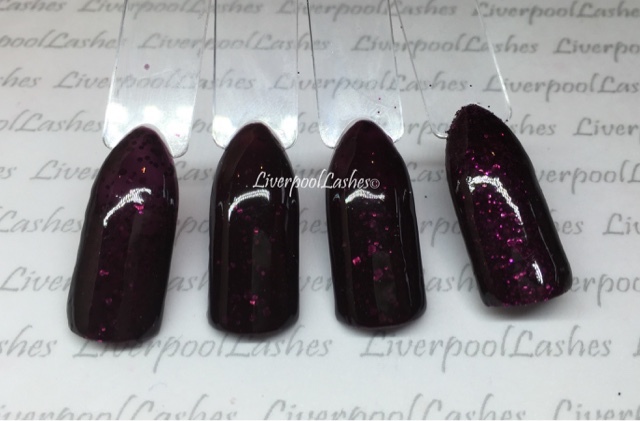 To me, Poison Plum is a deep dark plum shade with a little bit of a texture in it. 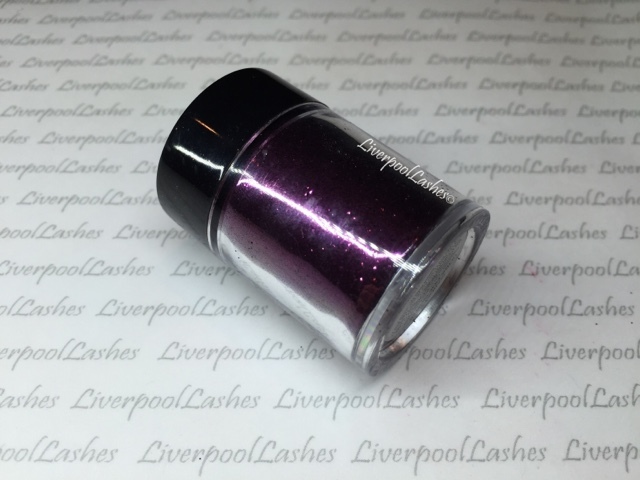 Although technically it contains a little glitter, if you look at the pieces up close you'll realise that they almost have a matte finish and not the super high shine finish that a typical glitter piece would have. I have to say that personally, I was extremely excited for the release of this shade and it's exactly what I thought it was going to be so I don't feel that sense of disappointment. You may think "oh she would say that" and I wouldn't - there's various shades that aren't for me from CND such as Cocoa, Burnt Romance and the majority of the nudes. To me Poison Plum is a relative of Dark Lava which is probably my all time favourite shade. For those of you who are mourning the fact it's not a full on glitter shade, I have a solution. I did a couple of colour pops that are photographed above. The far left is two coats of Plum Poison, nothing else. Next to that is one coat of Plum Poison over two coats of Fedora. To the right of that is two coats of Dark Lava with a coat of Plum Poison. Personally I would wear any of them, particularly the Dark Lava combination of course. Finally I decided to paint one layer of Poison Plum, cure it and then I patted a layer of Lecente Garnet Glitter into it. I then applied another layer of Poison Plum over it. The consistency of Plum Poison is slightly sheer which of course it would have to be so that it shows the pieces in it but also this means that you can see all of the glitter through it as well. I actually can't wait to wear this shade. I'm not someone who strictly sticks to certain shades for certain seasons but I will probably start wearing it when Autumn officially hits. I do love both the regular shade and the glitter option so I just thought I'd share my thoughts with you!